What worked in the past simply does not cut it in today’s asset-intensive organizations. Digital transformation and the Internet of Things ( IoT) are continuously pushing companies to utilize data and automate production processes. Having a successful asset performance management strategy is key to staying competitive in today’s market. 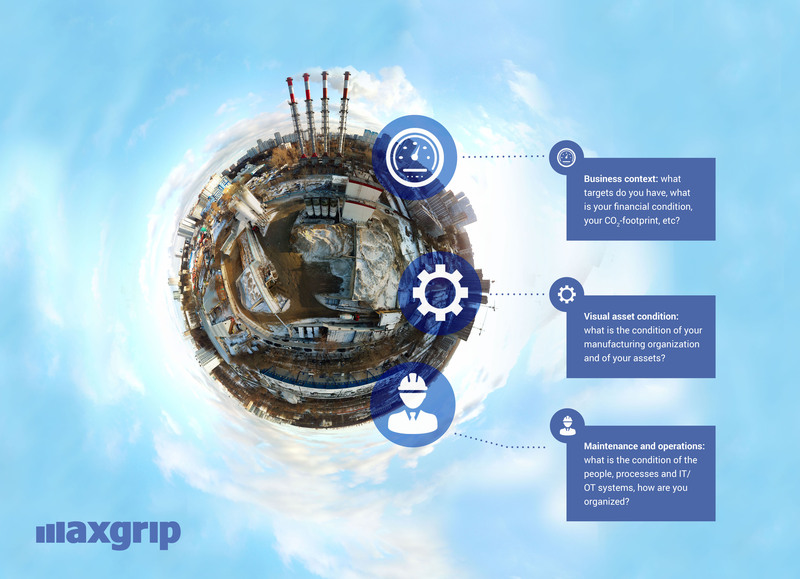 With recent advancements in the industry, and through the application of advanced analytics and artificial intelligence (AI), knowing in real time the asset health and performance of your assets is a necessity. This practice, known as asset performance management (APM), allows companies to enhance their maintenance strategy with IoT to better position them to make more informed decisions. They are also able to expedite their transformation from preventive maintenance to more predictive and even prescriptive actions. Every journey must start with a good understanding of where you are. Enhancing your APM strategy is no different. Many companies fail on their journey to implement predictive technology, not because they selected the wrong technology, but rather because they did not know their current strategy. Unlocking this information is the key to starting the optimization process. Budget & Strategy – Do you have a strategic APM roadmap that includes management sponsorship? Do you have a long-term budget allocated for executing the roadmap? Data – Do you have a complete overview of your data, who uses it and how? Many companies are dealing with siloed and incomplete data. Maintenance – Are you using innovative maintenance techniques? Do you have insights into the cost/benefit compared to traditional maintenance methods? Criticality – Do you have an inclusive and comprehensive method to assess criticality? Knowing which and what their actual conditions are is essential before making any investments (prioritize!). To understand the state of your APM strategy, it is imperative in the digital era that your strategy connects your people, processes, and systems. Gathering this information is the bridge to connect the dots and ensure success. Getting a full overview of your data is the foundation of your APM strategy and organization. Many companies have been talking about digitizing their operations, implementing artificial intelligence (AI) and utilizing big data for a few years now. But few have been able to successfully do so. The industrial digital transformation is here to stay, and for years to come it will continue to be the top discussion amongst manufacturing leaders. As you start your journey, let me give you five observations based on 20+ years of APM expertise and more than 130 APM Assessments globally. 8 out of 10 organizations either don’t know or are out of industry benchmarks for Total Maintenance Spend and Asset Replacement Value. Only 2 out of 10 organizations are aware of the risk of production loss due to (what is perceived as) minor failures. 8 out of 10 organizations are working in silos and fail to align key positions. The impact: more than 20% inefficiencies or rework. 8 out of 10 organizations are overspending in MRO, and do not have insights into MRO Spare Part Capital/Asset Replacement Value. Only 2 out of 10 organizations have a shared strategy between the production and maintenance department for APM and Digital Transformation. Many organizations seek to have their APM strategy and operations ready for the digital era, and there is a general need to know how to do so. Business Context: What are your business targets? What is your financial condition, your CO2-footprint, etc.? Visual Asset Condition: What is the current condition of your manufacturing assets? Maintenance and Operations: What is your culture? How do people, processes and IT/OT systems interact, how are they organized? Accurate baseline data, clarity on the goals and the ROI of APM investments, and a coherent idea about how to connect these three dimensions are the ingredients to prepare your maintenance organization for a successful digital transformation. A solid APM strategy is about capturing and analyzing data to improve your asset reliability and availability. I think that this can only be realized when you are fully informed about your current asset state. Only then are you able to set predictive forecasting and use reliability-centered maintenance (RCM) strategies. – Would you like to know more about APM strategies and how to implement them? Come to my session during IBM IoT Exchange 2019. – Coming soon – Part 2 of the APM Assessment blog: my colleague Ruud Willekens, Senior Solution Specialist at MaxGrip Americas, will write about how to get started on optimizing your APM strategy. Stay tuned! – Take the APM Assessment to see how your organization stacks up.